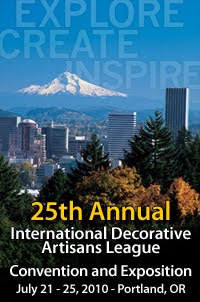 Founded in 1984, the International Decorative Artisans League (IDAL) is an international non-profit organization dedicated to the promotion and preservation of the art of stenciling and related decorative painting. Membership provides opportunities for artistic and professional growth through: education, certification, public awareness, and networking. Most IDAL members belong to local or on-line chapters. They take classes, share advice or just have a place to meet people with common interests. The local chapters usually meet once a month. 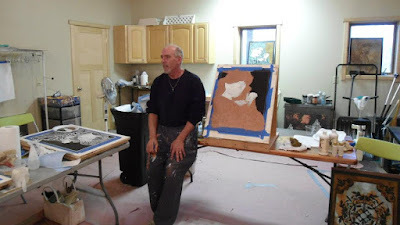 There is a social time and then a class on some decorative art form. Attending a meeting is free the first two times you go, to help you test out the chapter. Click here to find a chapter near you.